Hello old friends! 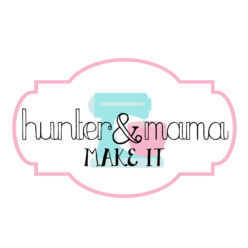 After a few months off, I’m excited to welcome you back to Hunter and Mama Make It. We’ve been so busy these last few months, I decided to grant myself some mama grace and take some time to live in the moment. Do you ever look at your calendar and realize that you are booked solid every weekend for the rest of eternity? (or at least the foreseeable future?) Well, that’s what happened to me mid- October! When life gets a little crazy, I think that taking some time to enjoy each moment is the best way to keep from totally losing it! BUT I’ve missed you and am excited for all the great things we have planned for this year. We celebrated Hunter’s second birthday (p.s. I can’t BELIEVE we have a 2 year old!). We had a lovely little party with family. It was a Mickey and the Roadster Racers theme…one of Hunter’s favorite little shows! 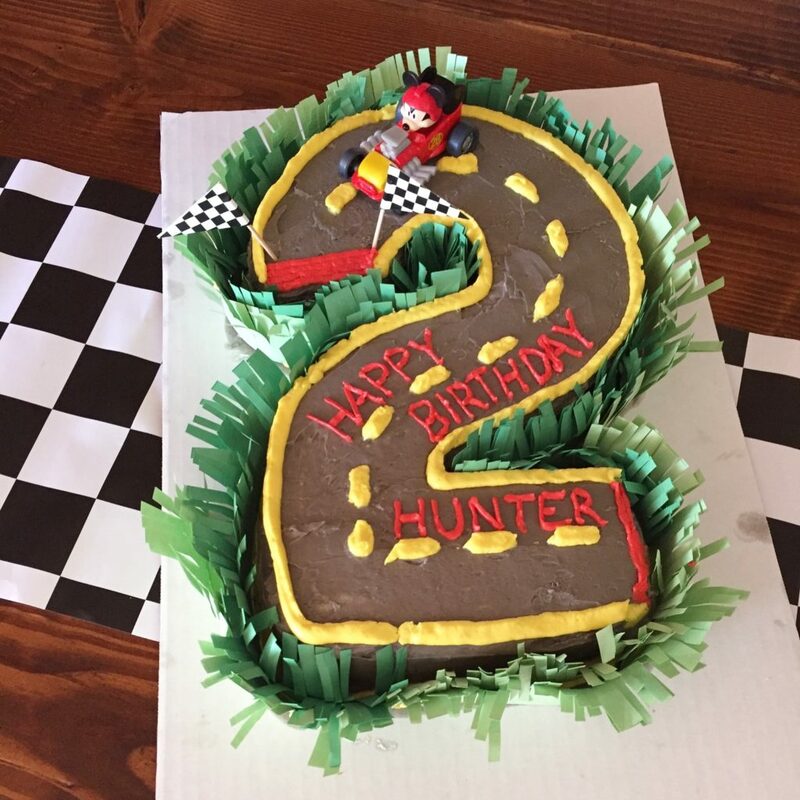 You might’ve seen Hunter’s birthday cake if you follow us on instagram! 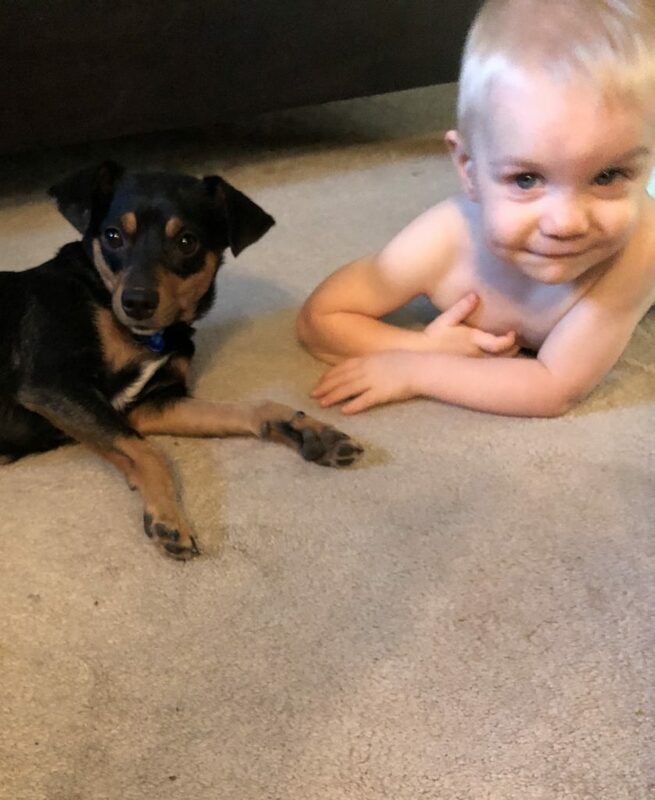 We adopted a rescue dog, a sweet little girl we named Daisy. Mama needed another girl in this boy house! She’s adjusting well and keeps our older dog, Dakota, on his toes. She also LOVES playing with Hunter (they’re both toddlers, after all!). We of course celebrated a very busy holiday season with family… by the time Hunter was done with all 4 of his Christmas present-opening celebrations, he had a hard time coping with the fact that in January we don’t actually open presents every day! Poor kid, that post-holiday slump hit him hard. 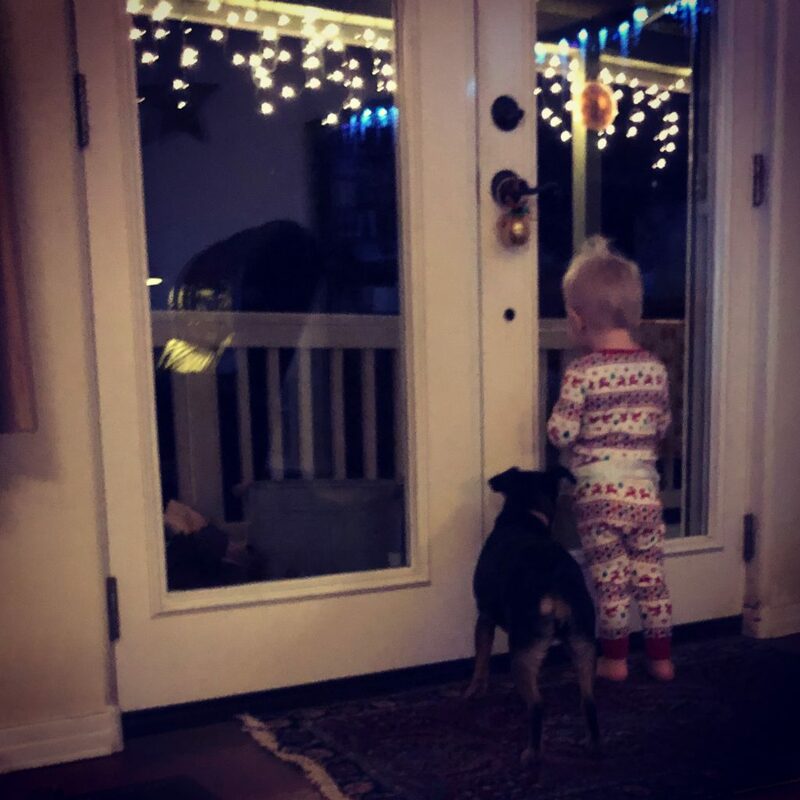 He still says ‘Bye bye tree’ every time he passes by the spot where the Christmas tree was. Thanks for stopping by our blog to catch up! Take a look around, rediscover some of our favorite posts… and get ready for many more in 2018! I look forward to seeing more recipes. Thank you for sharing your story.